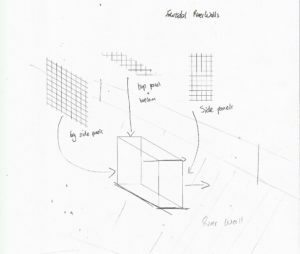 Jens Ruben Haendeler and Alex John Ioannou have been awarded a Whole Earth Fellowship in 2015, granting them funds in order to develop a prototype of their intertidal living river wall panel in order to mitigate the negative effects of urbanisation onto river systems. The prototype has been exhibited in the Siemens Crystal Building in 2016. The focus of this research study was the biodiversity of urban river systems. The project addresses the problems of current urban river systems and explores solutions and ways that improve the biodiversity of such systems. This is an excerpt from a thorough research study. Please contact PNEVMA if you are interested in the full report. Where not otherwise referenced all materials are the original work of the authors. A full bibliography is available at the end of the page. Intertidal Living River Walls by Haendeler, J R; Ioannou, A J is licensed under a Creative Commons Attribution-NonCommercial 4.0 International License. The World Health Organization (2012) expects that by 2030 six out of ten people will live in urban areas. The high demand for new buildings and infrastructure poses a critical threat to the urban environment and ecology. ‘Urbanization is a pervasive and rapidly growing form of land use change’ (Paul and Meyer, 2001, p 333), and urban streams are particularly endangered and vulnerable to impacts which go hand in hand with land cover change (Walsh et. al, 2005). Despite the fact that urban rivers and streams are important habitats for fauna and flora, this has been ignored in the past, resulting in canalisation, straightening as well as undergrounding. A major part of the river Ravensbourne is now located underground, significally limiting biotic life. Unfortunately the river Ravensbourne is no exception but it is symptomatic of the ‘urban stream syndrome’. Effects of the so called ‘urban stream syndrome’ are increased concentrations of waterborne nutrients (Nitrogen and Phosphors in particular) and toxic substances, altered channel morphology and reduced biotic activity. (Paul and Meyer, 2001). The feeding of surface run-off water and waste water into canalised rivers also causes a more rapidly changing hydrograph: the water table changes faster and the river’s flow rate is increased. Dunne and Leopold’s (1978) studies also show that urban river systems have less diversity in fish population. On the other hand, whilst the populations of sensitive fish, sensitive invertebrates and vulnerable plants decrease, less sensitive and more robust species breed disproportionately and increase in number (Roth, 1996). Additionally, high water temperatures result in a lack of decomposition of nutrients and organic matter (Webster and Benfield, 1986). All these effects result in less oxygen within the water body and finally resulting in an environment poor in biodiversit. Healthy urban river systems are important factors for economic development and social well-being of the people living and working near the water (Holt and Moug et al., 2012). However, the potential benefits are still hugely underestimated and not realized by many local authorities or developers (Walsh et. al, 2005). The primary hydrological targets during the 20th and 21st centuries have been flood prevention as well as making land available for further development. A focus on those two aims has led to a decreased interest in biodiversity and urban river landscapes which have visual and physical amenity value. Even though the two first aims have to remain focus areas, due consideration needs to be given to maintaining and improving ecology and biodiversity. What seems to be contradictory (nature and culture) could go hand in hand to create more productive and more ‘livable’ river landscapes. The New River Park in Singapore is an excellent large-scale example which demonstrates how canalised concrete channels can be transformed into a naturalised river landscape. According to Topos (2012) biodiversity has increased by 30% since its construction. In Sheffield five former canalised, polluted and degraded urban rivers were turned into biodiverse habitats from 1920 onwards by enhancing green corridors and public green spaces along the river. Improving the river edges has resulted in spaces that promote ‘recreation, . . . biodiversity, flood protection, cultural heritage, education, industrial and urban cooling, and economic and social development’ (Holt and Moug et al., 2012). When the Thames was used as a sewer during the mid-19th century the result was an anaerobic river (Sheehan, 1984) allowing nearly no form of life at all. Engineering practices were focussed on flood defence, channel straightening and widening. Natural floodplains were converted into unnatural river banks and it was only after 1986 that semi-natural engineering solutions were favoured (Steele, 1999). While there had been no fish at all in the river Thames pre 1940 there are about 100 species of fish in the Thames today – including Atlantic salmon (Salmo salar), flounder (Platichthys flesus), common goby (Pomatoschistus microps) and European eel (Anguilla anguilla). Due to the semi-saline conditions at and around Deptford Creek, both fresh water fish and marine water fish live near the creek (Wheeler, 1979). The majority of the walls surrounding Deptford Creek are constructed out of timber and concrete and favour biodiversity only in a very limited way. Some river walls were refurbished in 1997 and took the colonisation of the walls with plants and animals into account. Most of the current defences comprise two layers: a retaining concrete pile and steel wall and a layer of wooden panelling in front of it. 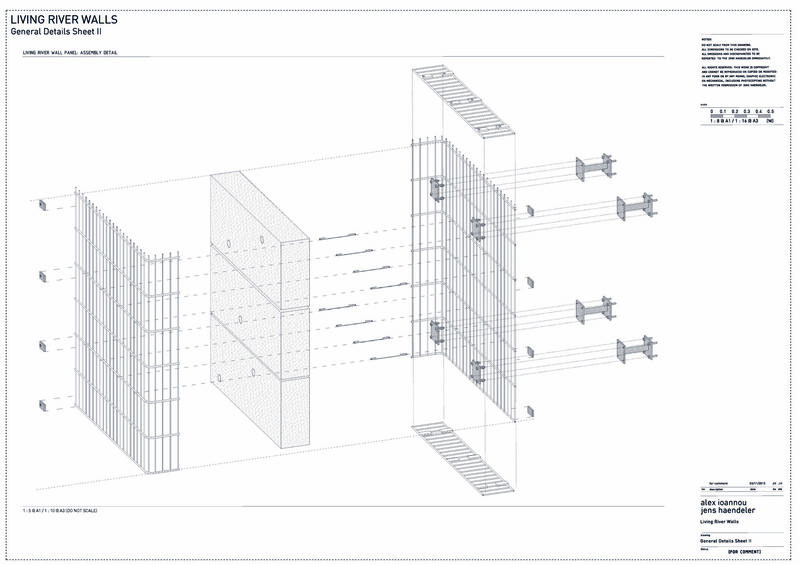 The void in between the structural elements is filled with a granular substrate of a similar composition to nearby foreshores. In addition to the substrate some walls feature ledges filled with sand in order to provide burrowing locations for Kingfishers (Alcedo atthis) and Sand Martins (Riparia riparia). In some places existing concrete retaining walls have been fitted with additional timber in order to create ‘planters’. These rubble-filled structures encourage colonisation and form vertical beaches. These areas also feature strips of dense plastic brushes which form an important location for fish egg-laying. The Environment Agency (2008) states that the walls colonised rapidly with fauna and flora and that the scheme has been considered ‘a success in ecological, social and economic terms’ (Environment Agency, 2008). However a recent site visit revealed that there is substantial damage along the river walls which results in aesthetic failure as well as a lack of biodiversity. Some walls are still intact but feature only a very limited plant palette and aesthetically lack lustre. The Environment Agency (2008) also proposed the use of modified timber posts which encourage silt accumulation and therefore plant growth. A number of nooks along vertical posts should enable plants to grow. 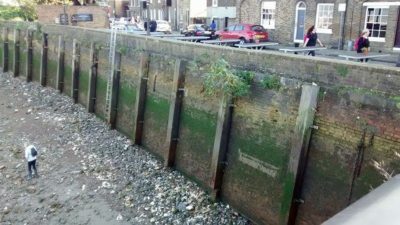 Living river walls as proposed in this research (by the University of Greenwich Sustainable Landscape Research Group) could provide an opportunity to improve both aspects: the ecology as well as the visual character and quality of the Creek. Living river walls are structures that can be fitted to existing river retaining walls and overlay the structural layer with a ‘green blanket’ in order to improve the visual appearance as well as forming habitats for aquatic and inter-tidal plants. Providing plants along the river walls not only improves the aesthetic character of the Creek, but most importantly the ecology and ecosystem services would be substantially enhanced. In addition to providing a habitat for plants, the living river walls could also provide ‘fish hotels’ and nesting places in the form of voids and protected spaces along the wall. Learning from existing structures it is intended to combine the principles of making a substrate available to plants as well as to create voids and nooks which encourage the accumulation of silt. There are two ways to approach the planting of living river walls: a) through natural colonisation, or b) through a coordinated planting with pre-grown plants. Because the living river walls are designed to trap silt it may be considered to vegetate the wall by natural colonisation. Doody (2008) argues that successful brackish water plant habitats make use of sedimentation. The silt forms a stable substrate for roots when having fine sediments (> 20%) in the surface layer. Living river walls can also be designed to be planted up with pre-grown nursery stock in order to design more controllable vegetation. This vegetation should, as far as possible, replicate the vegetation profile that would exist along a transect of a natural river bank in this area. The planting will be located on the vertical axis to correspond to this profile and relating the plants to the rise and fall in tides as would occur along a natural river bank transect. 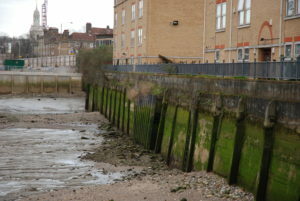 As discussed in previous chapters, Deptford Creek has the potential to hold a diverse population of fish. However, as outlined by Dunne and Leopold (1978) urbanisation may lead to an increased hydrograph after heavy rainfall. These sudden and strong currents have the power to wash small fish away (Steele, 1999). Furthermore the strong currents of the River Thames, turbulences at the Creek, as well as predatory fish and bird species, pose further threats to small fish. It is therefore fair to assume that the provision of fish hotels would protect smaller fishes and give them shelter from hostile conditions. Fish hotels could be formed out of voids and holes within the living river walls in order to allow the fish to hide from predators and the strong currents of the tidal river. The access points to the voids will have different sizes in order to address different fish species. A further opportunity would be to create access points where fish can access the back area of the living river wall, where the environment is considerably more sheltered and less exposed to predatory fish and strong currents. The natural equivalent would be hollow rocks, grottoes and caves within natural river systems. In particular fish species like eel could benefit from fish hotels. The living wall’s vegetation will itself emphasize the sheltered character of the living wall by breaking a one directional current into less stronger turbulences. Since fish provide a food source for some bird species, the colonisation of the creek with fish will also result in colonisation with birds (Steele 1999). The above list comprises species that are currently found near the tidal Thames or used to be found in Deptford Creek before, according to the Tidal Thames Habitat Action Plan. There are, however, some potential threats to fish which need to be taken into account when designing fish hotels. Depending on the type of material, fish may suffer from being caught up in the construction material. It therefore viable to allow the fish to access and egress the voids as the tides rise and fall in order to stop them from getting trapped. Artificial reefs may provide opportunities not only to improve the biodiversity of nearby habitats but also to form new, visually attractive riparian landscapes which benefit the local visual character and quality. Deptford Creek long has been called “dirty” and “full of rubbish”. However, with the closure of dockyards and a decrease in industrial activity the Creek is cleaner than it has been for many hundred years. Although the debris inside the river has little negative effect on the biodiversity of the river (Steele, 1999) it‘s unsightly character encourages people to dump even more rubbish into the river. The unaesthetic appearance also fuels a negative and low-value perception of the Creek. This is a threat to any new development at Deptford Creek. The majority of debris is located upstream of Deptford Creek due to the tidal activity in the ford. However, there are still a considerable number of trollies, bricks and further debris located in the creek itself. In particular the east arm of the Creek is affected by fly-tipping. The exposed debris is being described as ‘a particular eyesore’ (Cobham Resource Consultants in association with Llewelyn-Davies, 1995). 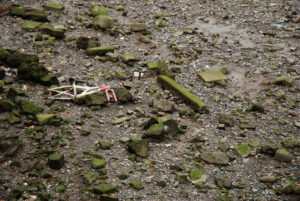 Typical debris in Deptford Creek includes construction waste, such as bricks, mortar, pieces of concrete, steel reinforcement meshes and re-bars, as well as residential waste and rubbish, such as tires, trollies, electrical white ware, and other materials (Steele, 1999). Despite the negative effects, rubbish in rivers, if not toxic and not dangerous to animals, can have unexpected positive effects. Animals and other wildlife can adapt to the urban environment and colonise such artificial reefs. Although little research has been published on the impacts of artificial reefs on the ecology and biodiversity of river systems, research in the area of fisheries and demonstrates that artificial reefs can support off shore cultivation of fish (Sayer and Wilding, 2005) and therefore could have the potential to enhance other habitats. Adnitt, C., Brew, D., Cottle, R., Hardwick, M., John, S., Leggett, D., Mcnulty, S., Meakins, N. and Staniland, R. 2007. Saltmarsh management manual. Bristol: Environment Agency. Brooke, J., Landin, M. and Meakins, N. 1999. The restoration of vegetation on saltmarshes. Environment Agency. Brookes, A. and Shields Jr, F. eds. 2014. River channel restoration: guiding principles for sustainable projects. Chichester: John Wiley & Sons Ltd..
Cobham Resource Consultants in association with Llewlyn-Davies. 1995. Tidal Thames: Landscape Assessment and Design Guidelines. [report]. Crompton, J. L. 2007. The role of the proximate principle in the emergence of urban parks in the United Kingdom and in the United States. Leisure Studies, 26 (2), pp. 213–234. Crossman, M. and Simm, J. 2004. 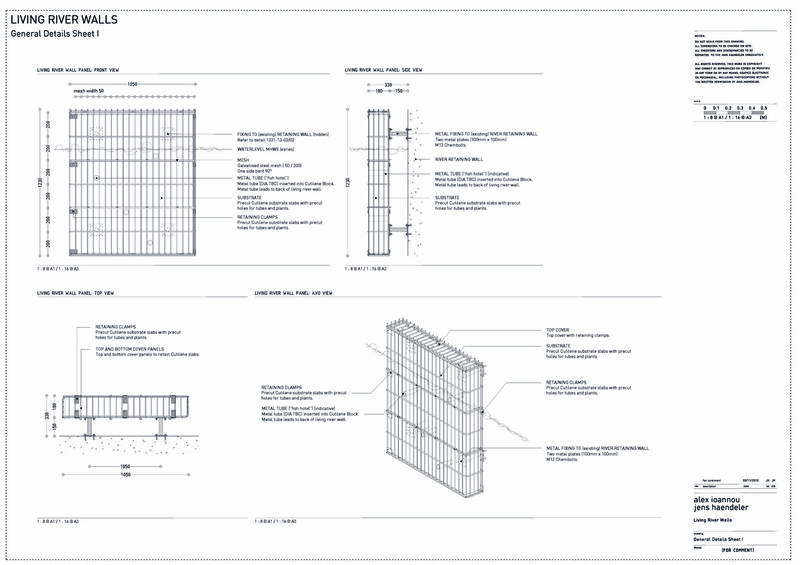 Manual on the use of timber in coastal and river engineering. London: Thomas Telford. Daily, G. C., Alexander, S., Ehrlich, P. R., Goulder, L., Lubchenco, J., Matson, P. A., Mooney, H. A., Postel, S., Schneider, S. H., Tilman, D. and Woodwell, G. M. 1997. Ecosystem Services: Benefits Supplied to Human Societies by Natural Ecosystems. Issues in Ecology, 2. Doody, J. P. 2008. Saltmarsh conservation, management and restoration. Dordrecht: Springer. Dunne, T. and Leopold, L. B. 1978. Water in environmental planning. San Francisco: W. H. Freeman. Environment Agency. 2008. Structurally Engineered Designs. Estuary Edges. [report] Environment Agency. Francis, R. and Hoggart, S. 2008. Waste Not, Want Not: The need to utilize existing artificial structures for habitat improvement along urban rivers. Restoration Ecology, 16 pp. 373-381. Haslam, S. M. 1978. River plants. Cambridge: Cambridge University Press. Landscape Institute. 2013. Public Health and Landscape, creating healthy places. Landscape Institute Position Statement. [report] London: Landscape Institute. Holt, A. R., Moug, P. and Lerner, D. N. 2012. The Network Governance of Urban River Corridors. Ecology \& Society, 17 (4). Lane, C., Surman-Lee, S., Sellwood, J. and Lee, J. V. 2007. THE THAMES RECREATIONAL USERS STUDY. [report] London: City of London Port Health Authority and The Health Protection Agency. León, V. 1999. Wetlands: All about Bogs, Bayons, Swamps and a Salt Marsh or Two. Parsippany, N.J.: Silver Burdett Press. Lewisham Council. 2007. A natural renaissance for Lewisham. [e-book] Lewisham: Lewisham Council. Available through: lewisham.gov.uk http://www.lewisham.gov.uk/SiteCollectionDocuments/ANaturalRenaissanceForLewisham2006-2011Part1.pdf [Accessed: 04 Feb 2014]. Long, S. 1993. Saltmarsh Ecology. Cambridge: Cambridge University Press. Margolis, L. and Robinson, A. 2007. Living Systems: Innovative Materials and Technologies for Landscape Architecture. Basel, Boston, Berlin: Birkhäuser. North West Regional Development Agency and Natural England. 2008. The Economic Value of Green Infrastructure. [report]. Paul, M. J. and Meyer, J. L. 2001. Streams in the urban landscape. Annual Review of Ecology and Systematics, 32 (1), pp. 333-365. Pickering, H. and Whitmarsh, D. 1997. Artificial reefs and fisheries exploitation: a review of the ‘attraction versus production’ debate, the influence of design and its significance for policy. Fisheries Research, 31 pp. 39-59. Purseglove, J. 1989. Taming the Flood. Oxford: Oxford University Press. Sheehan, P. J. 1984. Effective pollutants at the ecosystem level. Chichester: Wiley on behalf of the Scientific Committee on Problems of the Environment (SCOPE) of the International Council of Scientific Unions (ISCU). Steele, J. eds. 1999. Deptford Creek, surviving regeneration. Deptford: Deptford Forum Publishing. Topos. 2012. New River Park in Singapore. The International Review of Landscape Architecture and Urban Design, [blog] 28.03.2012, Available at: http://www.toposmagazine.com/blog/new-river-park-in-singapore.html [Accessed: 22 Mar 2014]. Walsh, C. J., Roy, A. H., Feminella, J. W., Cottingham, P. D., Groffman, P. M. and Morgan II, R. P. 2005. The urban stream syndrome: current knowledge and the search for a cure. Journal of the North American Benthological Society, 24 (3). Webster, J. and Benfield, E. 1986. Vascular plant breakdown in freshwater ecosystems. Annual Review of Ecology, Evolution, and Systematics, 17 pp. 567-594. Wheeler, A. 1979. The Tidal Thames. London: Routledge & Kegan Paul Ltd.
Whitton, B. A. 1984. Ecology of European rivers. Oxford: Blackwell Scientific. Wikipedia. 2014. Deptford. [online] Available at: http://en.wikipedia.org/wiki/Deptford [Accessed: 2 Mar 2014]. Wikipedia. 2014. Mean high water spring. [online] Available at: http://en.wikipedia.org/wiki/MHWS [Accessed: 2 Mar 2014]. World Health Organization. 2012. WHO Center for Health Development: Annual Report 2012. [report] Kobe, Japan: World Health Organization.